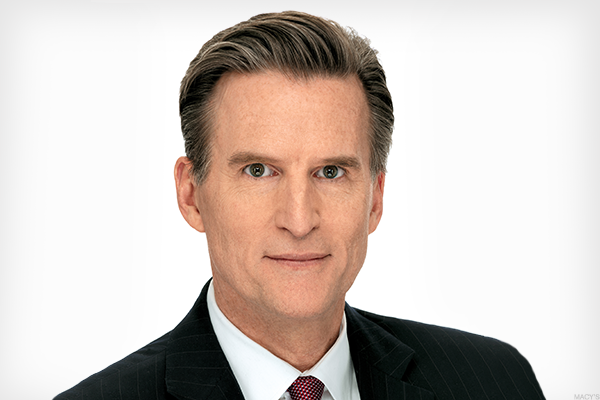 With stores closing and in-store retail tanking, Macy's new CEO has a big job ahead. Perhaps no one is more surprised than Jeff Gennette, 55, that he ended up working for Macy's (M - Get Report) , or even a retailer. When he graduated from Stanford University with a major in English, the native San Diegan headed to Macy's simply to gain management experience. After all, he reasoned, "Who's going to hire an English major?" Well, Macy's, that's who. "I expected it to be a quick in and out," he told TheStreet in an exclusive interview. But then, "I got the retail bug." Now 37 years later, the newly minted CEO -- he officially took the helm on March 23 -- heads the company for which he has worked in Atlanta, Minneapolis, New York, San Francisco and Seattle. 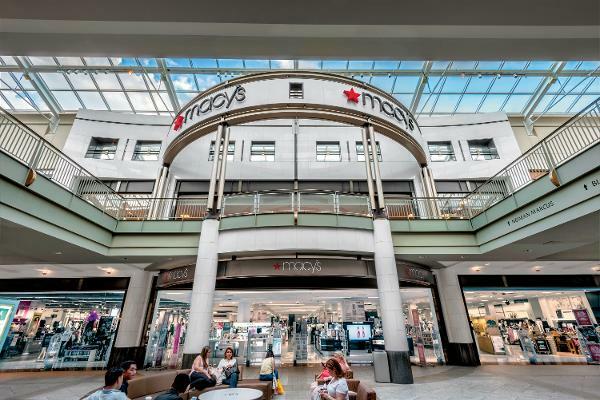 To be sure, Gennette is primed to attempt a feat that may or may not come to fruition—a Macy's turnaround amidst one of the most challenging periods in retail ever. TheStreet spoke with Gennette, who is touring the country holding town halls with Macy's employees, about what's next for the retail icon. What follows is an edited and condensed version of our discussion. Q. What have you learned while working for Macy's in various parts of the country? 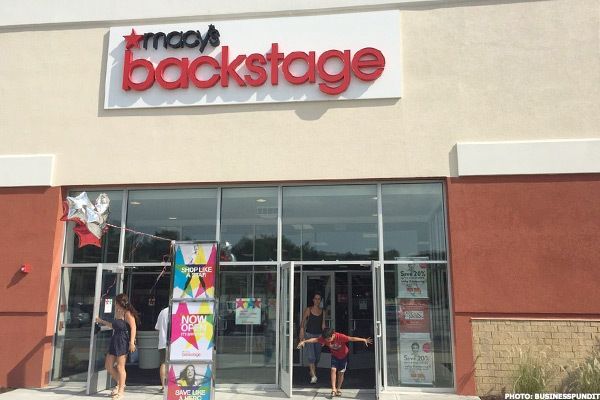 Gennette: Since I've been with Macy's all over the country, it has been very helpful living where customers do. It has imbued my thinking about national strategy to make sure they're [the products sold] relevant to the locations. Having had that experience, I've noticed there's a big difference in customers and how they engage with apparel, accessories and the home department, depending of what part of the country they're from. We sell different brands, colors and designers that reflect the regions. For example, more dresses are sold in the South and Northeast than in other parts of the country, and favored designers there are Tommy Hilfiger and Polo Ralph Lauren (RL - Get Report) . The West Coast is more about sportswear, and Calvin Klein is more developed there. From a color and a style perspective, and casual versus career, it varies from place to place. Some states really go with pastels and brights. You look at more mineral tones and neutrals in other regions. You have to think about other specifics, down to who wears suits still? Who wears casual versus polished casual? What customers do at the home departments varies, too. As an example, we have to know how many of them celebrate the full traditions, such as the more traditional Christmas versus a more contemporary one. 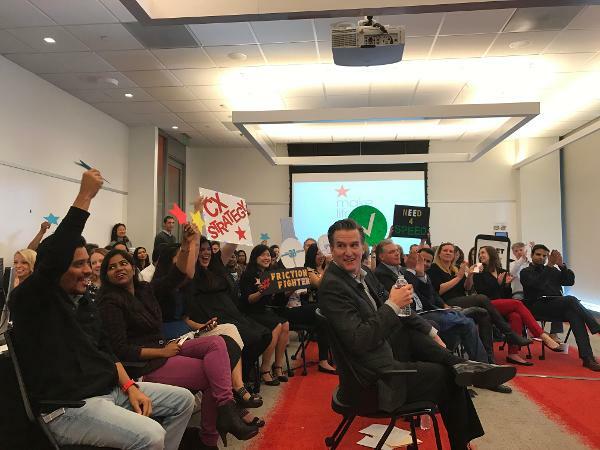 Q: You are currently doing town hall meetings across the country with Macy's employees. There has been a lot of change at Macy's the past six months, and employees are likely reading the headlines. What concerns are you hearing from them? Gennette: I think everybody is used to winning. We had that great stretch where Macy's was being touted as having figured things out. I think the last couple of years has set people back and they are looking for the path forward. So they are reading the articles and seeing the rumors just like everyone else is, and they have got concerns. They want to know where leadership is on this, what's our point of view, what's Macy's unique reason for being, and what the plan is for moving out of these results. What we are trying to reinforce is that what we recognize is different than in other bad business cycles we have been through. We are talking about the differences between cyclical changes and fundamental changes. We want to clearly tell them we don't have our heads in the sand, that we are looking outward as much as we are looking inward. The mission in 2017 is to right the core business and the set the foundation for future growth. We allow lots of time in these town halls for questions, and we get great questions -- they are spirited. We answer them with candor. It has been a great opportunity to connect with all walks of the organization. Gennette, at right, speaks with Macy's employees at a town hall. Q: Looking back at all the announcements from Macy's over the past year, and seeing as how retail is so challenging, should Macy's still be a public company? Wouldn't it be easier to fix Macy's outside the view of Wall Street? Gennette: I think being highly leveraged, or increasing our leverage, would potentially be a problem for us. What I would say is that we deal with the realities of being a public company, and that isn't the distraction for me coming in. I am pretty clear on what we have to do with our strategy and execution. That's where I am staying focused. Q: How serious have the talks been to take Macy's private? The rumors have been swirling in recent months? Gennette: We don't comment on rumors. But I would say is that there are rumors and there is reality, and we are focusing on the reality. Q: What does the perfect Macy's store look like five years from now? Gennette: We are playing with this right now. One part of our strategy is called every experience matters. One of the tenants of that is what we are doing with the next generation of stores. If you look at a typical store in a B mall, we are thinking about what we need to do with it. We will have a model store set by June that basically is our vision for what that B mall store could ultimately be. What you have in that store is a significantly reduced SKU (stock keeping unit) level. There would potentially be different services there. Certainly technology will have a play in this store. You will see a more robust combination of Last Act and Backstage (off price concepts). And we will see how all of this works. We are also working on what the next generation of stores in the premium stores across the country look like. What does the product assortment need to look like, how do you work with lease players, what are the services components, what do we want to do with mobile. When you think about a store, there is still huge viability of our store portfolio. If you want to think about this integrated journey the customer, the store is the local arm of the digital experience. We believe the reason for Macy's to exist is this nexus between technology and this community of folks that offer a human touch. That means employees interact with customers in a way the internet still can't. We recognize we need to put more investment in our stores, and are working through the models we will scale in the future. Q: Is there a plan on the table to more aggressively go after the off-price opportunity with free-standing stores? Off-price retailers such as TJX Companies (TJX - Get Report) continue to be hot. Gennette: What we recognize is that our core customers are big users of off-price retailers. About two-third of those top customers are also shopping at off-price, and it's part of their shopping diet. Then you have the millennials that we must aggressively go after, 70% of them are also big off-price users. So that's the reality. We did start with a free-standing off-price concept called Backstage. I would tell you that right now, we are very focused on how we could bring that off-price concept into the mall. The off-price retailers are usually in strips malls next to grocery stores, which is convenient. But, there are people who see malls as convenient. Today what we are experimenting with -- and we started testing in 15 stores last year and are bringing to 30 stores this year -- is bringing Backstage into buildings that have square footage available. Bringing off-price to a store does have its unique challenges. Number one is that you want to make sure you aren't cannibalizing the sales in which you are already doing in that building. We will be testing four models this year with respect to the entire off-price subject. We expect that we will walk out of the year with a scalable model. We are committed to off-price, but want to make sure the experience is additive. Q. With such a busy schedule, how do you unwind? Gennette: Books, plays, movies are always there. I'm a huge movie buff. I just saw Hacksaw Ridge, which I didn't expect to like as much as I did. Two of my favorite films last year were Moonlight and Hell or High Water—an amazing film, the pace, acting and mood were all very good. I also power-watch certain TV shows and serials. As an English major, I read a lot of literature. In addition to the business journals and reports, I've recently been reading the collection of short stories by James Joyce, The Dubliners. One of the beauties of being in New York is having access to art shows and theater, which are so inspiring. Last Sunday, I saw Sunday in the Park With George [about French painter Georges Seurat] with Jake Gyllenhaal. In advance of that, I saw the Met [Metropolitan Museum of Art] Seurat exhibit. It was a nice correlation to see that exhibit before the Broadway show. Jim Cramer and the AAP team hold a position in TJX Companies for their Action Alerts PLUS Charitable Trust Portfolio. Want to be alerted before Cramer buys or sells TJX? Learn more now.